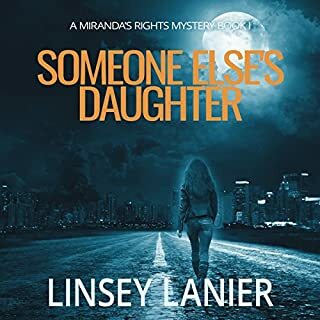 When Adam Park's former mentor recruits him to locate a vulnerable loved one, he learns very quickly that the girl is either the victim of an ex-con's manipulation or the brains behind the robbery of a major criminal enterprise. Whatever the truth may be, she is in mortal danger. 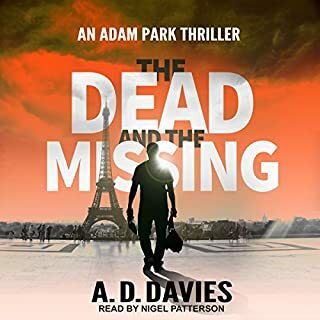 Tracking the pair from the UK to Paris, then Paris to Asia, Adam delves into the murky and violent world of human trafficking and extortion, where he must draw upon the darkest corners of his psyche to survive. This is the box set of the Sean Kruger series, books 1 through 3. The Fugitive's Trail: In the lobby of a prestigious Wall Street investment firm, one man is dead and another seriously injured. The man accused of the crime is now a fugitive. When the Director of the FBI personally orders Special Agent Sean Kruger to New York City to find the fugitive, Kruger questions the reason. Told to shut up and do his job, he starts looking into the case. What he finds is troubling. Eyewitness accounts seem contrived with little variance between individual testimonies. The more he hears, the more he feels someone is manipulating the story. The Assassin's Trail: A serial killer is on the loose in the Washington, DC area. Two men are dead and the FBI has called in Profiler Special Agent Sean Kruger. Now in the twilight of his career, Kruger and longtime girlfriend, Stephanie, have decided to marry. Tired of the bureaucracy and politics of the job, he wants no part of the investigation. The Imposter's Trail: Over the Indian Ocean a Malaysia Airline jumbo jet drops from radar. Three hundred twenty-seven souls disappear with it; a woman in Rockford, Illinois is brutally murdered. Unrelated news events? Retired FBI agent Sean Kruger doesn’t think so. He suspects it’s the work of serial killer Randolph Bishop. The Sean Kruger series is like James Bond drnking Red Bull while doing Meth. It is a High Octane thriller that starts of with a flded knee and a grevious head wound and never stops to look back.This is what action movies should be like, in fact it has similarities to Crank in the highly charge action that occurs continuously. 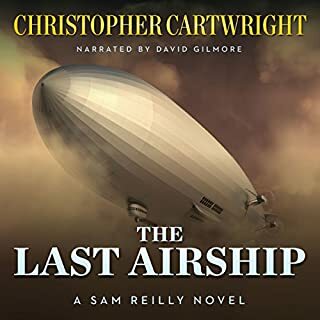 There are three books in this series, and it is just under 30 hours of listening time, despite that, once I got my headphones on and started listening the hours flew by. When it was over I felt like I had a new action hero. John Maclaine, Jack Reacher, James Bond? Those cats are wussies compared to Kruger. I can easily see some producer snagging this series and making it into a killer francise for some lucky actor. McSorely is Kruger, and he comes at you in his telling like he is swinging a baseball bat. He has a real rhythm that comes to life when he is describing an action scene, and you feel every blow, blast, and crunch of broken bone. His battle sequence will leave you covered in sweat, as your heart will race with every action Kruger makes to stay alive or defeat a foe. I generally don't read books like this, but I had a friend suggest it, and after lot of praise I decided to take the opportunity to get it when it came along. I am so glad that I did. This hold series has keep me spellbound what a roller coaster ride that gives the reader one exciting twist after another. Just when you think you have it worked out the author throws another twist that has you scratching your head. I have loved all three books in this series but book three is by far my favorite. This has been one fantastic listen that holds your attention from the first page until the last. I really liked that this story is based around the main characters and a thief but there is also a touch of romance but it is more in the background, which really adds to the story but isn’t over powering nor does it take over. One man was done wrong many years ago he seeks his justices not for revenge but more for a show of who has the power. Things would have ended there if not for him wanting what was taken. The author gives many twists and turns, nothing is really as it seems as he spins a story of crime, corruption, thief, murder, deceit in a thrilling action adventure plot that leaves chills down your back. You are pulled in from the first page as a man is being led out the door, and he turns the tables knowing if he does not he will end up dead. Now the chase is on to find the man who got away and get back what was taken. Special Agent Sean Kruger is on the scene but things are not adding up, he has his people do a little hunting of their own finding more question than answers that is until the minute everything falls in to place, and he finds just maybe the bad guy isn’t so bad after all. What a wild exciting ride that holds you spellbound from the drive by shooting that starts the book leaving you holding your breath asking why as the author lowly fills in the holes giving you a story that could be right out of the newspapers headlines. There is danger all around as first one person is shot and then another. The team is trying their best to fill in the gaps and find out what and who is behind it all, could this be one lonely man or is the plot bigger than anyone could guess? The author fills these pages with adventure of the unknown as the FBI Special Agent Sean Kruger turns to his old pal JR to piece together the puzzle as the world around them goes crazy. Homicide detective Ryan Clark goes to work with JR learning everything he can to find the footprints in the electrics they have found. The author holds you on the edge as the clues come in slowly and ex military set in motion a plot that could leave so many dead. Will they be too late to find the answers saving the marks that are to be taken out. What if they are wrong and thousands end up dead. 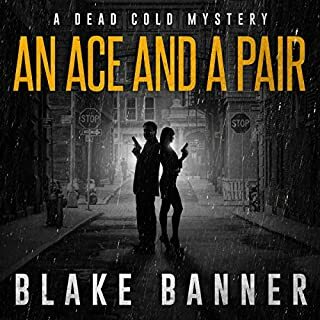 This is a very exciting read with true emotions, as I was listening them working out about the motorcycle I was so drawn into the story that when a motorcycle past me I found myself wondering if he could be the killer. Shaking my head and telling myself I was being silly this was just a story and the poor man on the bike was just going home to his family. Knowing I was right didn’t stop my eyes from following him until he was out of sight. Randolph Bishop comes home to rack mayhem again, he has work on his killing skills to a fine tooth comb leaving many women dead in county he ran to, to outrun the law. As the story come about face there are more dead bodies than can be counted is this, a new serial killer or could Randolph Bishop be back. With these new killings hitting a little too close for home Profiler Sean Kruger comes out of retirement to once and for all take RANDY out any way he can. The narrator has done a wonderful job pulling me in taking me away as the scenes play in my head. It is like pictures moving as each scene unfolds my heart beats fast, I take shorter breaths and at times hold them. I am so spellbound I set in a daze watching the killer kill again and again. He has no trouble pulling the listener in by showing true emotion in his voice from excitement, danger, shock, fear that you have no trouble knowing what each character feels. I felt as if I was right beside each character feeling their emotions wanting to pull them out before the killer strikes. I was talking to and yelling at them, but they didn’t listen and I closed my eyes letting the events soak in only to be taking on another wild emotional ride that left me more breathless than the last. The narrator’s character voices are wonderful I always know who is talking and what they are feeling. His female voices have improved I didn’t notice all the issues I did with the first two books, I feel in time and a little more work he will have them peg. He pauses when he needs and speeds up to get the full excitement that holds you on the edge. 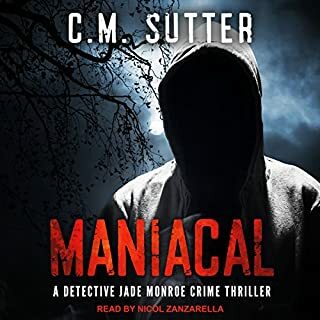 His normal voice is just as nice as his character voices which are smooth, clear, even as he gives it the right pitch to make you feel the emotions the author wants you to. There are no background noises, no volume changes, if any breaks were taken I could not tell. He was able to really pulling me in through emotions and tones that grabbed me from the first page until the end. I really hated when it came to the end I wanted the story to go on and on. I can’t wait to listen to more of his work and I do hope he continues this series. The author feeds you just enough to hook you as he plays out the plot that grabs you and never lets you go. I loved the characters he gives them true emotions, normal everyday people with the same issues as we have. The adventure is exciting, thrilling and dangerous. I loved the characters feel like your family and friends and when they die you feel like you have truly lost them. The plot is outstanding, you can tell a lot of thought went in to it. My heart went out to so many different characters who lost so much because one man thought he deserved more than he did. I really liked how Sean and his friend worked out what was going on. I think for the most part my heart broke the most for Bishops brother and his wife, so many years wasted because of an unkind brother who thought only of his self. It was great to see the characters in each book and get updates, see how they were doing, what was new in their lives and to see how the plot affected them. As the end came I was cheering which made my shopping trip a little more interesting with people looking at me like I was nuts. I knew before I started this last book I was going to be truly affected and become very invested in the story so much, so I was in my own little world. I really hope there is more to come and can’t wait to listen to more of this series. By far book three is my favorites. As a whole this series has been an outstanding listens grabbing my attention, holding it, pulling me in, keeping me invested until the end. Pick it up and you will see why I have picked this series as one of my favorite listens of the year. This audiobook is a long listen but I enjoyed every minute of it. I received a free audiobook copy. 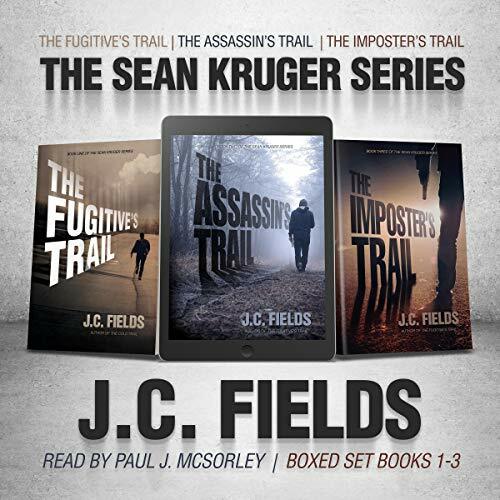 Thank you J.C. Fields for these amazing novels and thank you, Paul J. McSorley, for your wonderful narration! Loved the stories, characters and narration! I can't wait for the next book in the series! These are fast paced detective stories with surprising developments. If you like Baldacci, Coben and Connelly, you'll love this series by JC Fields. Additionally, the performance is superb! Great series, great villians and FBI hunt stories! I very much enjoyed The Sean Kruger series. I love the way the author wove in enough reality, places you know, life events and happenings you've read or heard about on the news, to make it seem even more realistic. Also, I very much enjoyed the explanations of (the tech behind) how the 'impossible to find' became 'possible to track'. 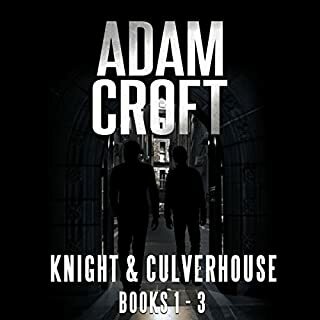 Three fantastic stories with a main character you enjoy following as he tracks them down, while dealing with his own personal battles relating to some of the cases. I enjoyed the progression of the books, the relationships between characters met in book one and how they grew and changed as the books went on. By the end of book three, I really want to hang out with some of these folks and pick their brains! Also, the villains were superb. Almost scarily realistic.... yet fascinating to follow how they think and process. The books are written in various 'voices' so you really get a feel for numerous characters and not only what they are doing, but what they are thinking. If I were to offer any criticism, it would be in the way the female characters are sometimes written and narrated. I find it seems hard for one gender to write and speak as another. It goes both ways. Often in books, women, written and narrated by men sound nagging or dumb (and when women write and narrate men, I find they make them sound like the 'romance novel guy' so, as I said, it goes both ways). I don't know if there's a fix for this, it's just an observation. And it wasn't all the time, but periodically, the females who were known to be intelligent, were made to sound dumber than they should have, and it threw me off for a moment. Not enough to impact the overall books, though. I am looking forward to book 4!! The Sean Kruger Series was not only artistically written, but the narrator did a great job. I am not a fan of Mysteries & Thrillers Police Procedurals book, but through this book I will now from time to time take a closer look on them. It was long for me, 28 hours and 5 mins, however, ever minute was worth the effort. The Narrator: Paul J. McSorley did a great job in bringing life into these books. Awesome. I wish I had such talent. Please, please, even if you are not a fan of such books, please never skip Sean Kruger Series, it will help you to know how to be part of a live story. It is through this book I learnt that the mysterious disappearance of Malaysian Airlines years back. It was worth the effort of learning process. It was also from the same book I learnt the Answer Icon (what we call Answer key on our smartphones). There are a lot of lessons to be learnt if you buy this book. You want to learn various issues of life, please get this book and explore the world of detective scenes, and know how you can be very careful on how to answer tomorrow particularly when you are not culprit. Absolutely brilliant!!! Author and narrator a dazzling duo! I loved this series; it’s full of mystery and suspense. I literally had to listen to all three at the once, I just couldn’t stop! Sean Kruger goes from an awesome agent to the best just doing what he does best. The writing is an obvious show of talent; characters are well developed and the past and circumstances of each character is well explained. The back stories of each victim clearly understood, allowing readers to feel completely for each person without having any questions interrupt the flow of the story. The Sean Kruger Series is an easy and smooth read/listen, making it a huge 4 star book to me. If I could give these books more than 5 starts I would!! I couldn't put them down! The story line was great, interaction between the characters was phenomenal, and the narrators voice I could listen to all day! At a few point in listening to these books my husband trying to talk to me and I just looked at him and he rolled his eyes and shut up! At one point I yelled something at a character and he laughed and said he will have to listen to these!! You know when you have listened to a really good book and then the next few you don't like because secretly you want to be reading the good one again! Yeah that's these books!! So excited for the 4th one! !